Since the Fukushima nuclear disaster, public support for nuclear power in Japan has declined sharply, and anti-nuclear politicians have become empowered in their own parties or formed new, often single-issue parties to leverage popular support. Even the relatively pro-nuclear Liberal Democratic Party (LDP) is facing challenges in openly promoting nuclear power. At the same time, the LDP must remain mindful of nuclear facility host communities, which continue to support nuclear power, and of the larger business community and the politically powerful regional utilities, which remain committed to nuclear power for economic reasons. Before March 11, 2011, the Japanese public was broadly, if cautiously, supportive of their country’s continued use of nuclear power. For example, according to a poll carried out by the Prime Minister’s Office in 2009, roughly 60 percent of the population supported increasing the number of nuclear power plants. The Democratic Party of Japan (DPJ) adopted the nuclear expansion policy of the Liberal Democratic Party (LDP) after defeating them in the 2009 elections. Support for the use of nuclear energy did not equate with resounding public confidence in nuclear power plants, however. By the late 1980s, following the Three Mile Island and Chernobyl nuclear accidents in the United States and the former Soviet Union, polls showed a solid majority of Japanese had become somewhat insecure about nuclear power. Anti-nuclear groups in Japan grew in membership and political strength during the 1980s and 1990s. This movement includes the Citizens’ Nuclear Information Center (CNIC), the Hangenpatsu Undo Zenkoku Renraku Kai [National Anti-Nuclear Liaison Group] which publishes the Hangenpatsu Shinbun [Anti-Nuclear Newspaper], and the Japan Federation of Bar Associations’ Committee for the Protection of the Environment. The late 1990s brought a series of nuclear accidents in Japan, including the sodium leak at the Monju fast reactor in December 1995 and the criticality accident at the Tokaimura fuel preparation plant in 1999. The fact that the Power Reactor and Nuclear Fuel Development Corporation (PNC, later changed to JNC) – operator of the Monju reactor – covered up the sodium leak when first releasing data to the press affected public confidence in both the organization and the nuclear power sector. The accident at the Tokaimura plant, operated by Japan Nuclear Fuel Conversion Co. (JCO), a subsidiary of Sumitomo Metal Mining Co., resulted in the deaths of two workers due to fatal radiation exposure levels. Although the plant was not directly part of the electricity production fuel cycle, the accident further raised public concern. The early 2000s deepened this unease as whistle blowers revealed that TEPCO and other firms had regularly falsified safety reports to regulators. Despite more than a decade of troubles, the Japanese public did not instantly turn against nuclear power after the Fukushima disaster. According to poll data compiled by the Japan Atomic Industrial Forum (JAIF), those who supported maintaining or expanding the use of nuclear power (pro-nuclear respondents) outnumbered those who supported decreasing or abolishing the use of nuclear power (anti-nuclear respondents) for the first few months after March 11. Support for nuclear power slowly declined in the ensuing months, and pro-nuclear respondents slipped to 25 percent in an October 2011 poll by NHK. Both the forced evacuations of Fukushima residents from towns inundated with radiation and worries about contamination in the food chain likely contributed to this shift. Similar numbers were reflected in a spring 2012 Pew Research Center poll, with 70 percent of respondents supporting a decreased role for nuclear power in Japan. Since winning last December’s Lower House elections and reclaiming the prime ministership, the LDP has sought the restart of Japan’s reactors and even hinted at the possibility of building new reactors in the future. Yet the public has not been convinced. A February 2013 Asahi Shimbun poll found that roughly one-third of those polled supported nuclear power, and that 59 percent favored phasing out nuclear power by 2040. As support for nuclear power dropped following the meltdowns, the number of people taking to the streets of Tokyo and other cities to protest the use of nuclear power grew, and a more national anti-nuclear movement has emerged. In the immediate months after the core meltdowns at Fukushima, crowds of up to 10,000 people regularly gathered in Tokyo in anti-nuclear rallies. The anti-nuclear protests swelled to upwards of 60,000 people by mid-September 2011 and the momentum carried over into 2012 when an estimated 75,000 people turned out for a July 2012 protest in Tokyo. The diversity among the participants indicates how far anti-nuclear sentiment has spread throughout Japanese society. This said, while demonstrations continue to take place every Friday night near the Prime Minister’s office, the number of participants is declining. More narrowly, research on Japanese host communities shows that those villages immediately proximal to nuclear power plants continue to support nuclear power because of the political economy of side payments (some villages receive more than $15 million in benefits each year). Those slightly further away are now against the program as the negative externalities have become more obvious since 3/11. The anti-nuclear movement also resulted in the formation of new anti-nuclear politicians and political parties in the run-up to the December 2012 Lower House election. The Japanese Communist Party had long opposed nuclear power but mostly remained on the fringe of the country’s politics. The Fukushima accident brought anti-nuclear politics to the mainstream. For the election, Your Party and the Tomorrow Party of Japan also took strong anti-nuclear power stances. The DPJ had already marked its stance by announcing a plan to phase out nuclear power in the 2030s, and New Komeito seemed to agree with this plan. Despite this political expression, anti-nuclear sentiment did not translate well at the ballot box due to overarching economic concerns and dissatisfaction with the DPJ, and the historically pro-nuclear LDP won convincingly. The anti-nuclear movement will provide a challenge to the LDP and business community’s desire to restart Japan’s nuclear sector. The Japanese public expects the new Nuclear Regulation Authority to strictly enforce safety regulations at existing nuclear facilities. Whether anti-nuclear sentiment will maintain its strength at the local and national levels and influence policy makers will strongly shape Japanese nuclear energy policy. Japan’s new nuclear regulator, the Nuclear Regulation Authority (NRA), was established in September 2012 in response to the March 2011 Fukushima nuclear accident. Unlike the previous regulatory body that oversaw the rise of Japan’s nuclear sector, the NRA is legally an independent agency. The NRA must withstand pressure from the ruling Liberal Democratic Party (LDP) and the nuclear industry and overcome resource challenges in order to properly enforce new standards and win back public confidence in nuclear power. This will be especially challenging given that public opinion polls have shown a massive drop in trust in Japan’s bureaucracy. Japan’s former nuclear regulator, the Nuclear and Industry and Safety Agency (NISA), was housed in the Ministry of Economy, Trade, and Industry (METI). This embeddedness was seen as a conflict of interest because METI was (and remains) responsible for promoting the use of nuclear power. The United States faced a comparable conflict of interest challenge when the Minerals Management Service (MMS) was criticized following the April 2010 Deepwater Horizon oil spill for being the regulator and collector of industry taxes. Following the accident, the U.S. government responded by creating the Bureau of Ocean Energy Management, Regulation and Enforcement. Similarly, the cabinet of former Japanese prime minister Naoto Kan called for “the separation of nuclear regulation and promotion” in an August 2011 decision. This new regulator was to be separate from METI and consolidate authority over nuclear safety, nuclear security, and environmental radiation monitoring. The NRA is part of the Ministry of Environment but is classified as an Article 3 Authority. This legal classification is designed to ensure “independent exercise of authority, without control and supervision from a senior agency (e.g., the minister of a relevant government ministry).” The NRA’s legal independence is augmented by its physical location in the Roppongi district of Tokyo, separate from almost all of the government agencies, which have historically been located in the district of Kasumigaseki. Additionally, bureaucrats assigned to the NRA are barred by regulation from returning to their original ministries according to a bill passed by the Diet in June 2012. In addition to nuclear safety, the NRA will assume authority over regulations concerning nuclear security, safeguards, and radiation monitoring that previously were the jurisdiction of various other government agencies. Consolidation of regulatory authority will be complete by April 1. The NRA’s formation will result in the elimination of NISA and the Nuclear Safety Commission, and the related nuclear authorities of METI and the Ministry of Education, Culture, Sports, Science and Technology will be reduced. Moving from a patchwork of regulators to an integrated agency may assist the government in establishing a more firm footing in the field. Thus far, the NRA has released draft safety and seismic standards for light water reactors and final safety regulations are due by July of this year. A significant change in the draft standards involves redefining active fault lines from faults that have moved within the past 120,000 years to faults that have moved within the past 400,000 years. Seismic study teams are conducting inspections of nuclear plants, and based on the new standard, they have preliminarily declared that there may be active fault lines beneath the Tsuruga plant in Fukui Prefecture and the Higashidori plant in Aomori Prefecture. These rulings would force those reactors to be decommissioned, and not surprisingly, the plants’ operators have challenged the NRA study teams’ findings. Responding to these concerns, the NRA held open hearings with the electric power companies in January. The NRA stated that safety reviews will begin after the release of the final regulations in July but added that the reviews will take time to complete. NRA Chairman Shunichi Tanaka also seems aware of the Japanese people’s desire for strict, independently enforced nuclear safety regulations. He stated that the NRA must meet “…the expectations of the people to the fullest, in adopting and applying strictest regulations,” and he said that the NRA “…should be careful not to consort with electric utilities and other interest groups.” However, it was revealed recently that an NRA official held at least 30 meetings with power company officials, in violation of internal NRA rules. The former official was removed from his post, but this was a blow to the NRA’s image as an independent regulator. The LDP has pressured the NRA by publicly making pro nuclear statements and calling for swift restart decisions. Prime Minister Shinzo Abe asked for reactor restart decisions to be made within three years, and other senior LDP members stated the need to restart reactors soon for the sake of the Japanese economy. The LDP appears likely to remain in power for the foreseeable future, and the NRA must strike a balance between strictly enforcing its regulations, staying clear of energy policy making, and maintaining a good working relationship with the LDP. A central government official said that the Japanese public ultimately will make decisions on safety, economics, and risk acceptance, and that the NRA, the LDP, and the nuclear industry must work together with the public interest in mind. The NRA also faces resource challenges to properly enforcing nuclear regulations. The Ministry of Environment has not been a powerful agency, but the NRA must be given sufficient financial, technical, and human resources in order to carry out its mission. Currently, the NRA has a few hundred technical staff members and likely will have to rely on outside experts to conduct technical inspections and analysis. The NRA’s staffing problem is complicated by the fact that former private sector workers are perceived by many as biased in favor of the nuclear industry, yet the private sector is the most likely place to find people with the necessary level of expertise and experience in the nuclear field. The creation of an independent regulator is one of the most significant changes to Japan’s nuclear policy after the Fukushima accident. The NRA is tasked with regaining public trust in the nuclear industry, and appears intent on demonstrating its commitment to doing just that. However, pressure from the LDP and private sector, combined with resource challenges and the recent scandal over illicit meetings between an NRA official and power companies, will strain the NRA’s ability to truly remain independent and properly enforce regulations. The real test for the NRA will begin when reactor safety inspections commence later this year. How these inspections play out will be a significant determinant in the immediate future of the Japanese nuclear industry. Despite statements from the reinvigorated Liberal Democratic party (LDP) and its leader Shinzo Abe that they will reconsider plans to move Japan away from nuclear energy, signs indicate that it is not business-as-usual for Japan’s nuclear sector. Instead, the new and independent Nuclear Regulation Authority (NRA) has combined with empowered anti-nuclear groups in civil society and politics to change the nuclear power sector significantly. With state support beginning in the immediate post war period under then Diet member Nakasone Yasuhiro, nuclear power has been the backbone of Japan’s energy policy and the perceived key to energy security for a country lacking domestic energy resources. The Japanese government envisioned nuclear energy providing a consistent electricity supply through a closed nuclear fuel cycle employing reprocessing and fast breeder reactors that would generate “semi-national energy resources.” Following the 1970s oil shocks, nuclear power became Japan’s base load power source, and the Japanese government committed to develop a closed nuclear fuel cycle despite technical problems. The 2011 accident at the Fukushima Daiichi Nuclear Power Plant seemed to change this trajectory. 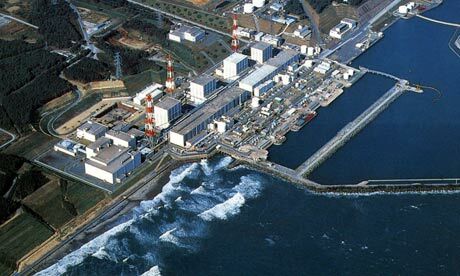 In the ensuing months, all 54 of the commercial nuclear reactors operational before the Fukushima accident were shut down for safety inspections, and only two reactors at the Ohi Power Station in Fukui Prefecture have been allowed to restart since. This situation has yielded concerns from the business community about power shortages during sweltering summers and long winters. In addition, eight of the nine electric utilities operating nuclear power plants recorded losses in fiscal year 2011 with their nuclear plants lying dormant, and projections for fiscal year 2012 remain bleak. Against this backdrop, five utility companies have requested permission to raise electricity rates. Electric utilities have compensated for the loss of nuclear power capacity by increasing imports and use of fossil fuels, particularly liquid natural gas from Australia and Russia. Energy conservation measures, some government mandated, have further helped. These efforts have enabled Japan to survive the past two years, but the electric utilities and industry leaders do not see this trend as sustainable. The Fukushima accident galvanized public sentiment against nuclear power and gave voice to anti-nuclear groups within the government and civil society. Until the accident, the majority of the public supported the expansion of nuclear power, but following the fuel meltdowns, a Pew Research Center poll last summer found that 70 percent of the public supported reducing the use of nuclear power. In September 2012, the then-ruling Democratic Party of Japan (DPJ) announced its intention to phase out nuclear power by the end of the 2030s, and the December 2012 Lower House elections saw the rise of several single-issue, anti-nuclear parties. A number of communities close to nuclear power plants have expressed opposition to plant restarts, particularly those receiving little of the subsidies and grants provided from the central government and directly from utilities. Until the Fukushima accident, anti-nuclear sentiments within the political parties and the public largely did not affect energy policymaking. The March 11 disaster and ensuing shutdown of all reactors enabled nuclear opponents to voice their views as the Japanese government debated revisions to the existing energy policy. The Fundamental Issues Subcommittee established in 2011 to formulate the new Strategic Energy Plan initially included two anti-nuclear members in a membership of 17. Criticism from NGOs led to addition of eight more anti-nuclear representatives. While the subcommittee has no voting power, it has highlighted debate over the pros and cons of nuclear power. In March 2013, the LDP energy committee dropped six of its eight anti-nuclear members, suggesting intentions to restart reactors soon. The other break from Japan’s nuclear policy past is the NRA, created in September 2012. The NRA is in the process of establishing new regulatory standards for nuclear power plants and will release the final standards by July. Reactors must pass NRA safety inspections before restarting, and NRA Commissioner Shunichi Tanaka already has contested the LDP’s plan to make reactor restart decisions within three years. The NRA likely will face strong pressure from the LDP and the nuclear industry to allow restarts. How the NRA reacts to this pressure and enforces safety regulations will be a major factor in the future of Japan’s nuclear industry. Almost exactly two years after the start of the Fukushima nuclear disaster, Japan’s Ministry of Economy, Trade and Industry (METI) is set to begin formulating a new basic energy policy, including plans for the future of the country’s nuclear sector. Considering the developments described above, it is clear that the reelection of the LDP will not likely lead simply to business-as-usual for Japan’s nuclear sector or energy policymaking. We will explore these signs of change in Japan’s nuclear energy policy in two subsequent posts, starting with the NRA. 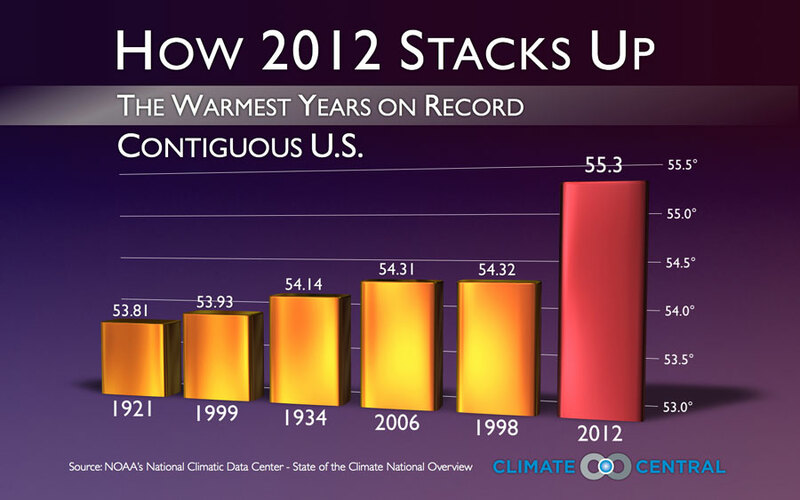 How 2012 stacks up: The worst graph on record? It would be a fun exercise for your methods class to find all the problems with the above plot. I’m really glad to have it out there, though. Next time we mock Fox News for one of its ridiculous graphs, we can point to this even worse image for partisan balance. Not so fast on levees and seawalls for NY harbor? The hazards posed by climate change, sea level rise, and severe storm surges make this the time to transform our coastal cities through adaptive design. The conventional response to flooding, in recent history, has been hard engineering — fortifying the coastal infrastructure with seawalls and bulkheads to protect real estate at the expense of natural tidal wetlands and ecosystems. 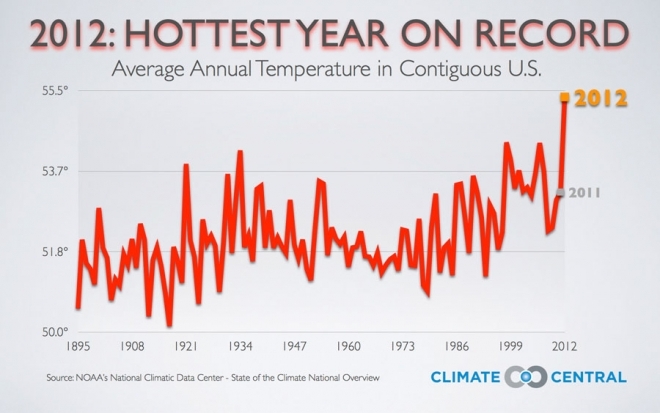 This approach has been proven environmentally damaging, unsustainable, and often ineffective. The failure of levees and other coastal protection structures facing Hurricane Katrina in 2005 is a dramatic example of infrastructural inadequacy. The unexpected ecological effects of the Eastern Scheldt Storm Surge Barrier in the Netherlands also indicate the risky nature of such systems. . . . Create an archipelago of islands, shoals, and reefs in the Upper Bay to both reduce the impact of storm-induced wave energy and improve the ecology of the estuarine environment. The bathymetrics of the bay will be modified, but current shipping channels will be maintained. Create flexible and democratic zoning formulae for coastal development that evolve in response to climate change and storm events to increase community welfare and resilience to natural disasters. . . . There is also this piece, just published on “Urban Omnibus,” the blog of the Architectural League of New York, that includes a decent summary of the green or soft infrastructure argument. 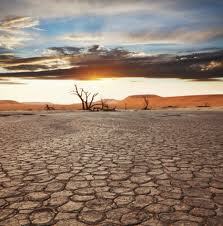 No discussion of climate policy—yet the drought may not be entirely irrelevant for the upcoming presidential election. 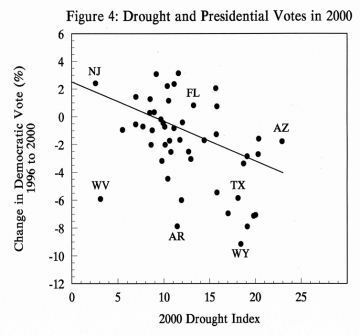 Several years ago, Christopher Achen and I examined the impact of droughts and floods in presidential elections throughout the 20th century. We found a surprisingly strong and clear tendency for voters to punish the president’s party when their states were too wet or too dry. In the 2000 election (the most recent in our data), we estimated that Al Gore got about 2.8 million fewer votes than he would have under ideal climatic conditions. Do voters really expect President Obama to make it rain? Probably not. But that won’t prevent them from punishing him if it doesn’t. When conditions are hellish, policy discussions are likely to be less edifying than expressions of frustration. Not long after becoming secretary of state in 2009, Clinton took up the cookstove cause, one of what she describes as “smart power” issues — though skeptical veterans of American foreign policy tend to deride them as soft more than smart. In September 2010, Clinton announced the creation of a partnership led by the United Nations Foundation to provide 100 million cleaner and more efficient stoves around the world by 2020, and she has since used every opportunity to implore world leaders to adopt policies to encourage their use…Clinton can recite the arguments by rote: The smoke from poorly ventilated stoves kills nearly two million people a year, more than malaria. Foraging for wood consumes the time and effort of women and children and exposes them to attack. The stoves are a significant source of black carbon in the atmosphere, contributing to climate change. Not many people say nice things about the Environmental Protection Agency, so it seemed only charitable to pass along the unanimous ruling by the US Circuit Court of Appeals for the District of Columbia affirming EPA’s interpretation of the Clean Air Act. The text of the opinion, in Coalition for Responsible Regulation et al v EPA, is here.) The ruling upholds EPA’s review and use of the scientific findings that carbon dioxide and other greenhouse gases harm the public health. The EPA decided they did, in fact, cause harm. But in an intriguing codicil to the “administrative presidency” literature, the Bush administration refused to accept that finding, going so far as never to open an email attachment containing the report. Thus the report was never final, and the status quo ante remained in place until the Obama administration took over. Obama eagerly opened the email and, given Congress’s failure to reach agreement on legislation in this area, EPA’s efforts have been the only game in town, albeit suspended by this and other suits. The usual suspects hailed and denounced the ruling, but keep in mind the key question was not whether more regulation was a good idea (though under the current administration “more” will presumably be the upshot), but on “how science works”: on whether agencies can use their technical expertise to make decisions and on the level of judicial deference those decisions engender. In that sense it is a very non-”activist” ruling.